Working with Anthony Romero was like working with a long-time trusted friend. My husband and I live in San Diego and we were looking to purchase a vacation condo in the Satellite Beach, FL area. Despite the vast distance and the extensive checklist of must's we had on a limited budget, Anthony was able to meet all of our needs and find us our dream vacation home. Anthony was honest, hard working, and able to guide us through this process with our complete trust. 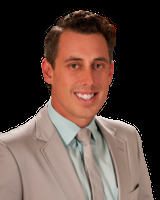 Anthony was in frequent contact through the process to answer many of our questions providing us the confidence to purchase our home sight unseen! I look forward to using Anthony's services in the future when my elderly parents retire to the area in the upcoming year and we would recommend him to any one looking to purchase a home. We are extremely thankful for the help he provided to us.